Home>Music> Rich The Kid Performs His Hits For Orchestral "Trap Symphony"
Gearing up for his sophomore effort, The World is Yours 2, Rich The Kid partnered up with Audiomack for their live "Trap Symphony" series. The streaming service features an eight-piece orchestra to accompany rap artists including A Boogie with da Hoodie, Chief Keef, and Migos. 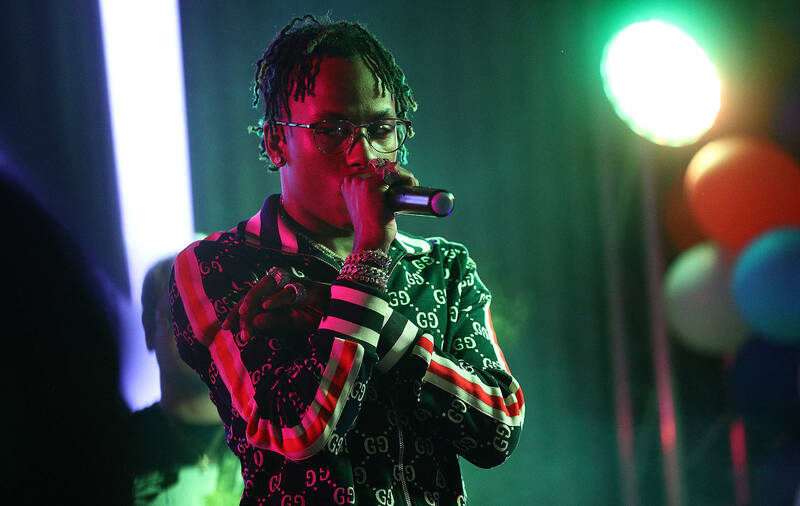 For his center stage performance, Rich The Kid offers up a symphony-stylized version of his latest single "Splashin," as well as his previous smash hits "Plug Walk" and "New Freezer." The latter two tracks were standouts featured on his 2018 debut record The World is Yours, released on Interscope. The record was certified RIAA Gold just four months after it's March release date. What do you think about Rich The Kid's "Trap Symphony" performances? MUSIC Rich The Kid Performs His Hits For Orchestral "Trap Symphony"